Taking the step of moving to Beijing is a huge one, but it’s something that you really should consider. After living there for two years, we can safely say that it’s a fantastic city to base yourself in. Consider these 8 great reasons why you should be moving to Beijing and thank us later! Moving to Beijing wasn’t our first choice. We’d decided that we were going to teach English abroad, and South Korea seemed like the go-to place for newbies like us. It turned out that as a couple, finding two jobs in a public school was very difficult, so we decided to move to Beijing. I don’t doubt that South Korea is an amazing place to live in, but moving to Beijing was one of the best decisions we ever made. We were constantly surprised by the city, and it always be somewhere we hold close to our hearts for many many reasons. Forget most of what you hear on social media and even in the news about Beijing. You have to be there to truly understand it – not as a tourist but as a Beijinger. The popular tourist attractions in Beijing are definitely crowd pleasers, but when you discover your own favourite spots in town, it’s all so much more characteristic. 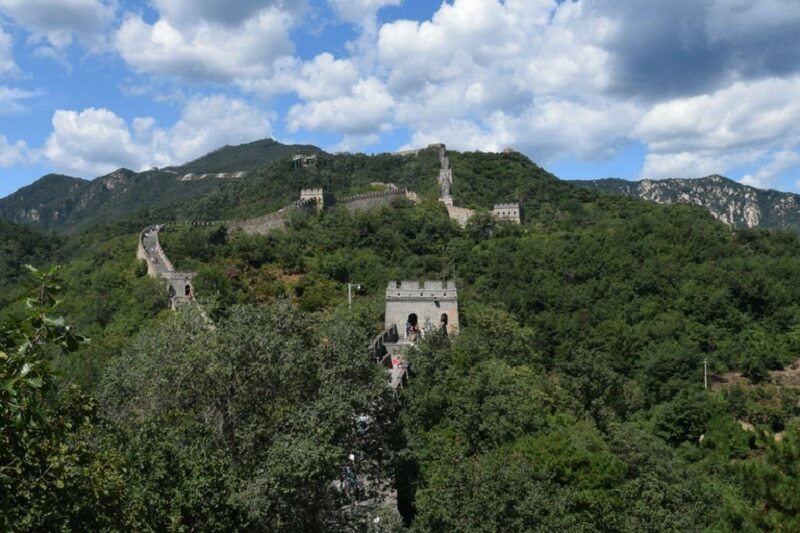 You won’t be able to get through this list of reasons why you should be moving to Beijing without considering it a possibility – why else would you be here? Check out everything you need to know before you move to China, find out what it’s actually like as an ESL teacher in Beijing and take a look at how to find the perfect apartment in China! It may sound materialistic, but you’ll need money wherever you live, and why should you not want a lot of it!? There are jobs for expats that don’t involve teaching, but you’re more likely to need to be fluent in Mandarin or have expertise in a particular field for those. If you’re looking for a job that pays well despite requiring low hours, then teaching English is for you. 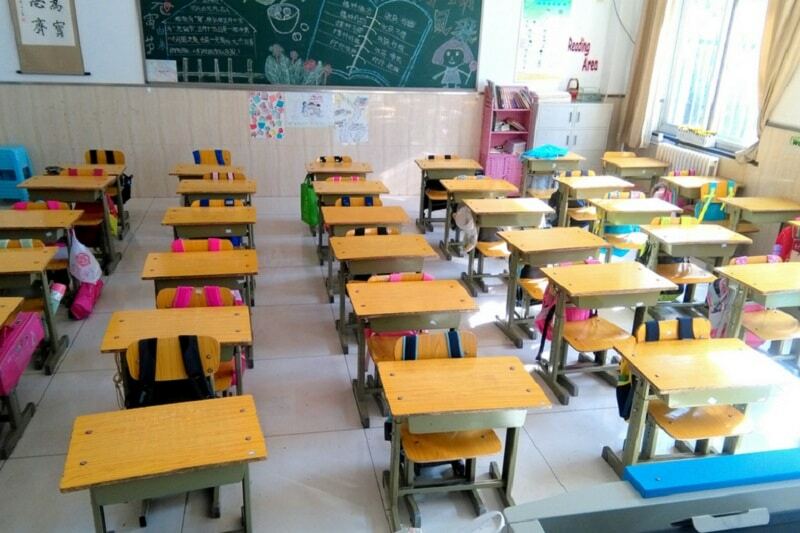 You can earn 17,000RMB per month only teaching around 18 hours per week – that’s £1900 or $2700!! Add to that any private teaching you might want to do and you will be able to save so much for the future, whether that’s for when you settle down or for travelling the next five years! A great company to work with is HYZD – they’ll give you tons of support, they’ll always pay you on time and they’ll even pay for your flights to China! We can personally vouch for them – drop us an email to ask any questions about the company and we’ll be happy to answer them. We know it’s daunting picking someone to work for in a foreign country so we’re here to help! What’s the point of earning all of that money if it costs the earth when you spend it? 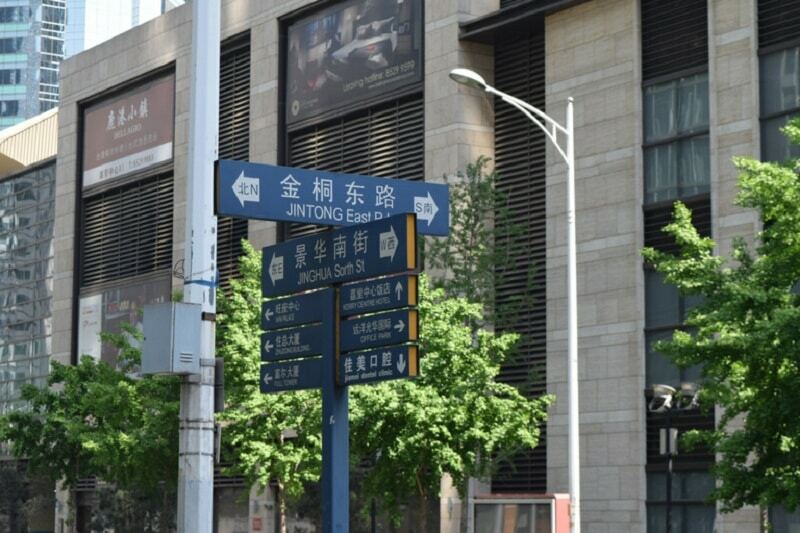 Unlike other great cities like London, New York or Sydney, the cost of living in Beijing is very low. Of course, there are swanky hotels and luxury restaurants, but living in Beijing can be easily done without spending everything. A beer in a local restaurant will set you back between 6 and 10RMB – £0.70 or $0.95. Take a taxi pretty much anywhere within your district and rarely pay more than 100RMB. That’s a huge fare too, you’re likely to usually pay between 30 to 60RMB for a comfortable and safe journey with the city’s official taxis. 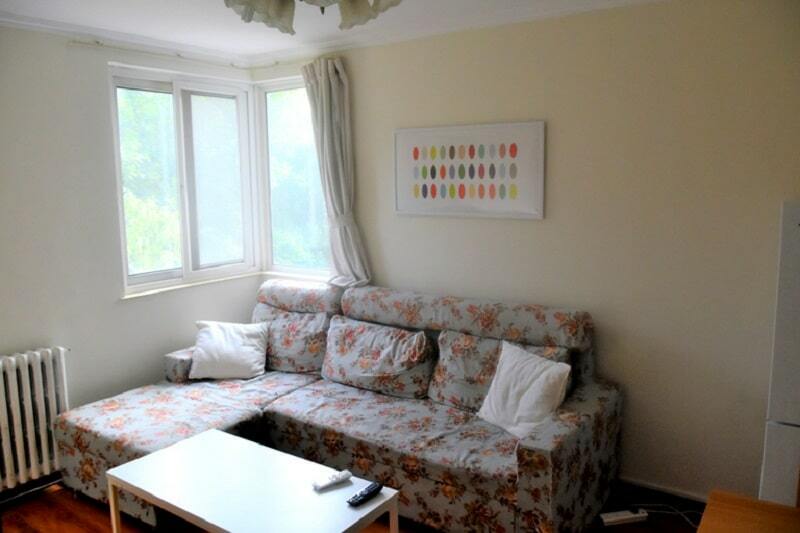 Choose a 2 bedroomed apartment 20 minutes from the centre and only spend 4000RMB (£450 or $630) on rent. Try finding a deal like that in London! You can obviously find ways to spend your money but you can live in Beijing very comfortably, even whilst saving and sending money home. You’ll never look at your local Chinese takeaway the same again once you’ve tried Beijing’s real food! It might take a few touristy restaurants to realise that the best food is found in the tiny local places, with plastic stools on the path outside and middle-aged Chinese men getting far too drunk on báijiǔ. 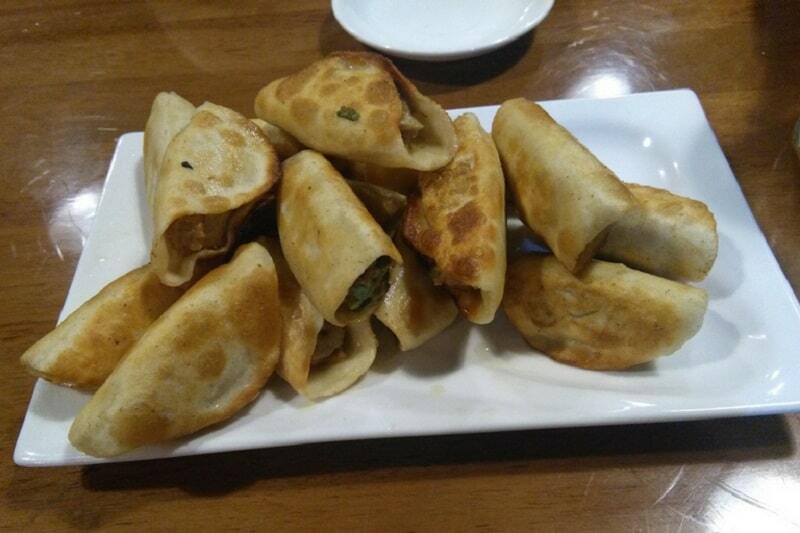 Our personal favourite Beijijng dishes include BBQ lamb, fried dumplings and fried mantou (a type of bread dessert you dip in condensed milk). If you’re looking to eat out in restaurants in Beijing, then you won’t be disappointed. And when you crave food from back home (and you will!) there are hundreds of chain recognisable chain restaurants from Subway to Dominoes. There are supermarkets in Beijing directly aimed at western customers too, so look out for April Gourmet and Jenny Lou’s. China is huge. We all know that, but it means that the weather is very different across the whole country and if you live in Beijing and fancy something different, you can experience it! 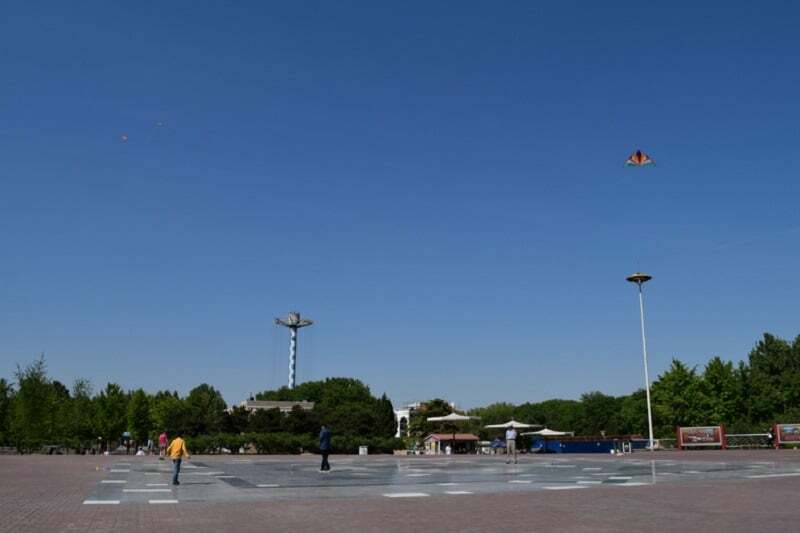 Beijing’s seasons go from a short spring (March – May), a hot and wet summer with plenty of thunderstorms (June – August), a mild and brief autumn (September – October) and a cold and dry winter (November – February). There aren’t many places to live where you can watch numerous flower shows in the spring, attend an outdoor pool party in summer, hike mountains in the autumn, and go skiing in the winter. Beijing experiences all types of weather and it gives you a chance to explore the whole city at different peak times of the year. Learning a new language is pretty impressive, and there are not many more difficult languages to learn than Mandarin. Note that the language is Mandarin, and not Chinese! There are so many language schools and private tutors ready to teach you the language, and there is no better way to learn than to immerse yourself in the culture and be taught by a native. You can also get these lessons for free if you’re interested in returning the favour by teaching English (or another language you already know well!) Many people have language exchange sessions instead of formal classes. 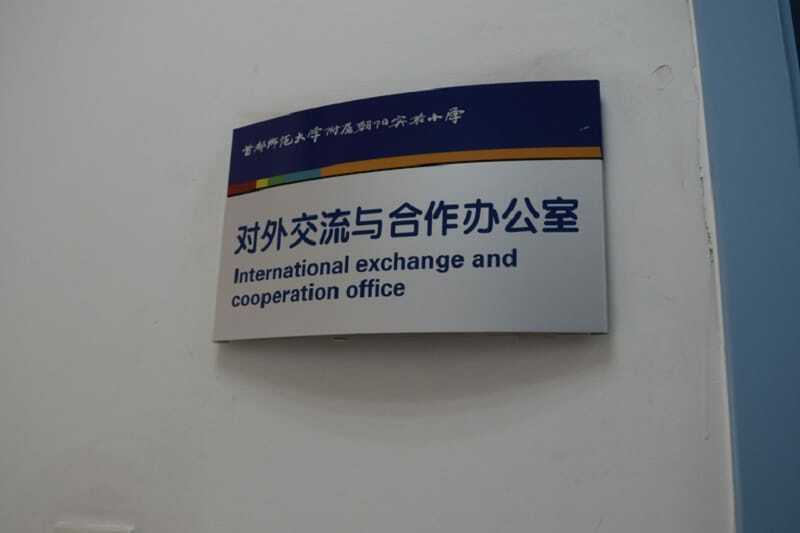 Don’t worry, a lot of people do speak English in Beijing. In fact, you’ll probably be able to have full conversations in English with a child of 6, but it’s the older generation who you may have to break down the language barrier with. If you get a tuk-tuk, or go to a local supermarket, you’ll find it much easier if you have a basic understanding of Mandarin – even if it’s just numbers, thank you or goodbye! Lots of people talk about culture shock when you move to Beijing. It’s a real thing – wherever you come from, Beijing will be different. But different isn’t always bad. It teaches you acceptance, an understanding of different people and how people view you as a foreigner. Meeting people from another country always teaches you new things. Living somewhere and being surrounded by a completely contrasting culture is a unique experience, however. I could list hundreds of little things that surprised and shocked us whilst living in Beijing – from toddlers wearing open-crotch trousers and letting loose in the street, to keeping our washing machine in the bathroom. Sometimes we couldn’t believe our eyes. As the time wore on though, we got used to living a life contrary to ours in the UK. Even now, having left Beijing almost a year ago, we talk about what’s different to living in Australia as a backpacker. It always comes down to the culture. Even though we are having a great time here down under, it’s so similar to home that we crave all of Beijing’s distinctive ways. We’ll be heading back in the near future for sure. 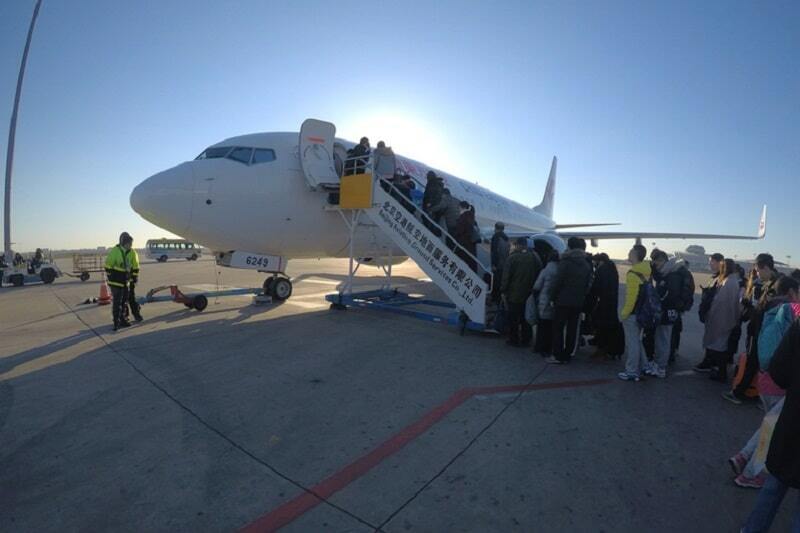 Asia is a big place, but it’s so easy to travel across from Beijing with cheap overnight trains, short flights and long haul buses available everywhere. It’s cheaper to travel on a sleeper train, and they’re a lot of fun, offering amazing views of the country. Flying is quick – you can get from Beijing to Bangkok in five hours, or you can take a train from Beijing to Xi’an for £25. Once you’re in Beijing, you’ll find that you’ll be able to access the rest of Asia so easily – use websites like CTrip, SkyScanner, Baolau and Giant Ibis to help plan your travels! Yes, the Great Wall of China is incredible to climb. Yes, the Forbidden City is one of the most intricate complexes we’ve seen. And yes, people really do live in those hutongs and they’re a lot of fun to explore. You could see all of this on a holiday, but by moving to Beijing you realise where the best places are. Beijing has so many different sides to it. 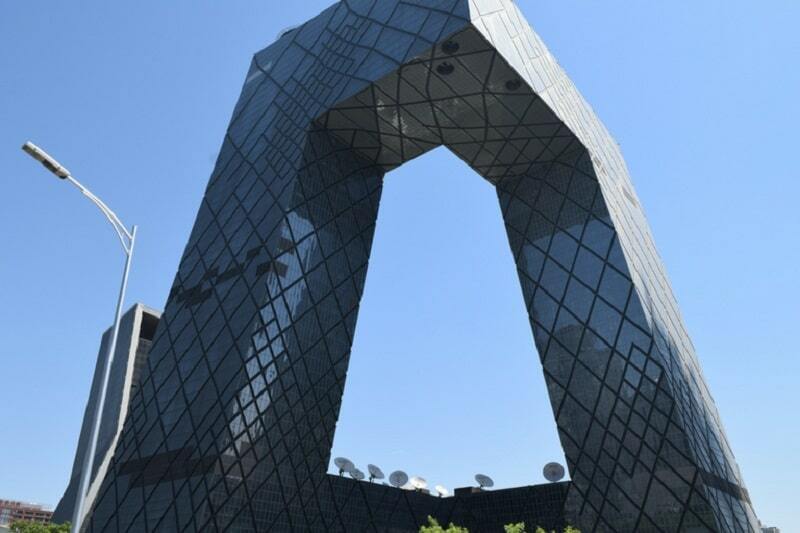 Cultural, traditional, modern, artistic, sporty, romantic, entertaining – you name it and Beijing’s got it. Visit the parks in the morning and watch the old ladies dance, rent a boat on the lakes in the summer and go ice skating on them in the winter, go shopping in the winding alleyways, swim in an outdoor pool or visit the Happy Valley theme park. You won’t get bored and with such a good transportation system, you’ll be there in no time. Thinking of moving to Beijing? Email us with any questions – we’ll be happy to answer them! Check out the following posts on living there and let us know when you make the big decision of moving to Beijing! How Much Does It Cost to Live in Beijing?